William Glackens was part of the movement that brought American art into its own at the start of the twentieth century. Robert Henri, who had studied art in Europe for more than a decade, brought together four American artists who had worked as illustrators for the Philadelphia Press and studied at the Pennsylvania Academy of the Fine Arts. John Sloan, George Luks, Everett Shinn and William Glackens took their talents as news illustrators and, with Henri’s encouragement, began to paint the urban landscape that they had drawn for news stories. 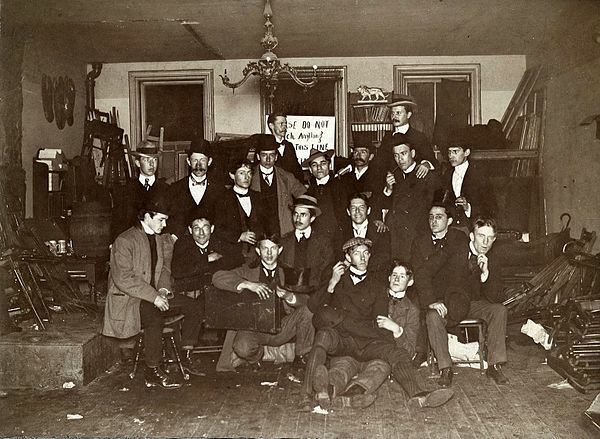 The group formed the nucleus of the Ashcan School, a derisive name given to them for their break with the influential National Academy of design, which rejected their realistic portrayal of city streets as too radical a break from the artistic beauty expected from artists of the day. In 1895, William Glackens went to Europe, with Robert Henri and other artists, and spent a year in Paris. The influence of the French Impressionists on Glackens was as strong as the influence of the Ashcan School painters on his work. Glackens painted scenes of twentieth century New York with the sensibility of the French Impressionist painters he had admired in Paris, and his work helped to popularize American Impressionism and modernize art in America. 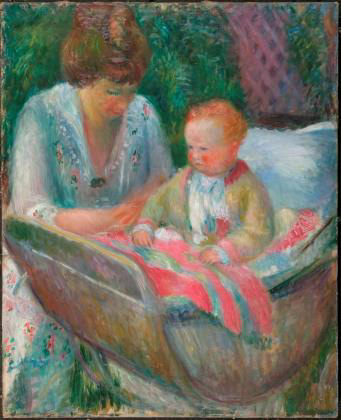 Through his work with the Ashcan School and the Society of Independent Artists, Glackens helped to plan, and take part in, exhibits that introduced modern American artists to U.S. and European audiences and introduce European audiences to American art. 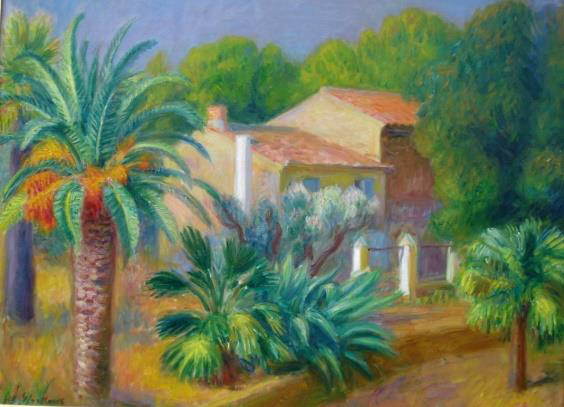 William Glackens was known as “the American Renoir.” The influence of the French Impressionist on Glackens is the subject of Willam Glackens and Pierre-Auguste Renoir: Affinities and Distinctions currently on exhibit at Nova Southeastern University (NSU) in Fort Lauderdale. Portrait of Gabrielle Renard and Jean Renoir. 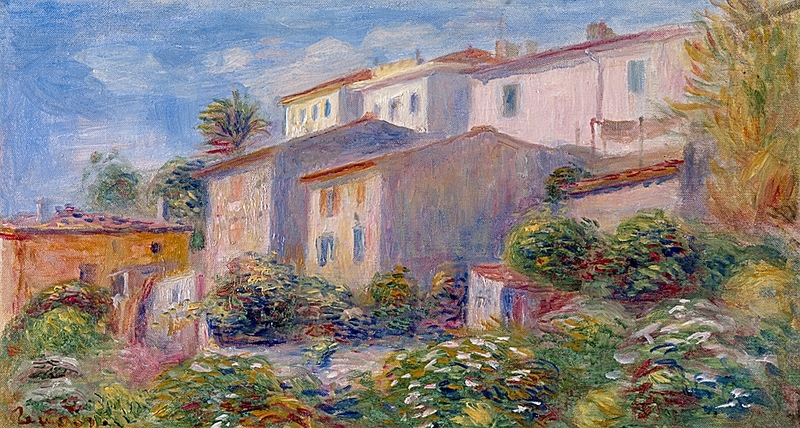 Glackens and Renoir’s artworks are displayed side-by-side at the NSU gallery, making it easy to see the similarities in color, subject and style between the two artists. 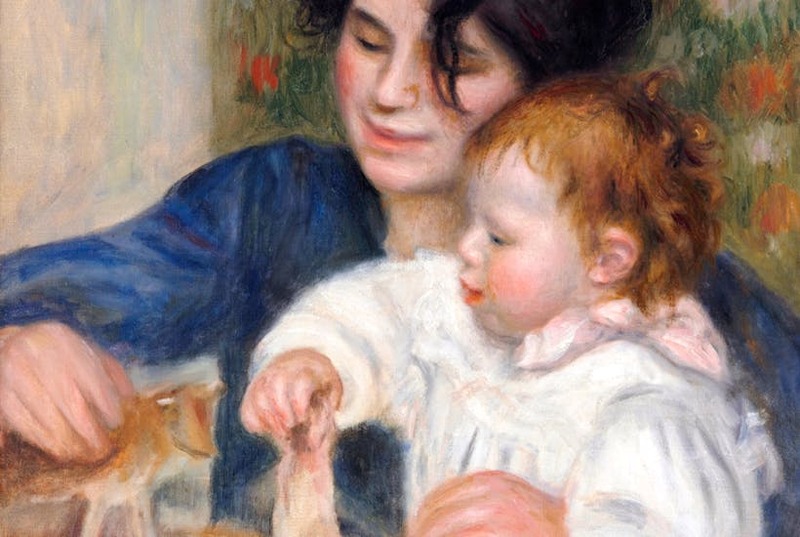 Willam Glackens and Pierre-Auguste Renoir: Affinities and Distinctions runs through May 19, 2019.  Please contact us if you would like more information about the paintings of William Glackens available at Surovek Gallery. Chadd Scott. 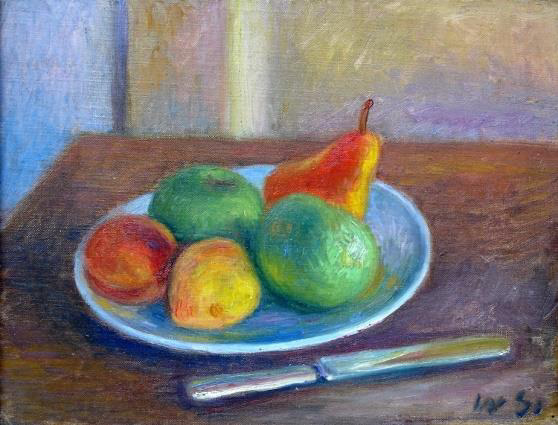 Renoir And Degas Bring Highlights Of French Impressionism To Florida. Forbes. March 5, 2019. Roberta Smith. The Beauty of the Everyday. The New York Times.Art Review. August 14, 2014.